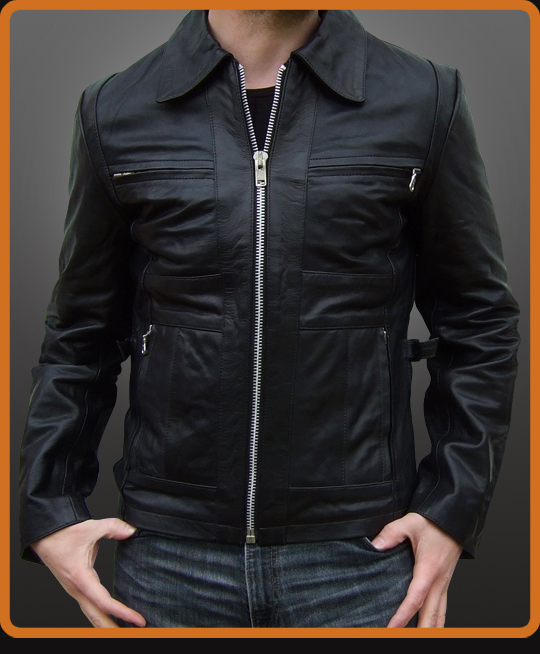 Original style on this leather jacket with horizontal black chest zips pockets, lower zip pockets and black lining. More stylish longer YKK cuff zips and vintage collar. Available in Black and Antique Brown.